In this workshop we will screen a monologue from the show, learn what Paloma's approach to writing a monologue is and we will be writing our very own monologues- telling our own stories. 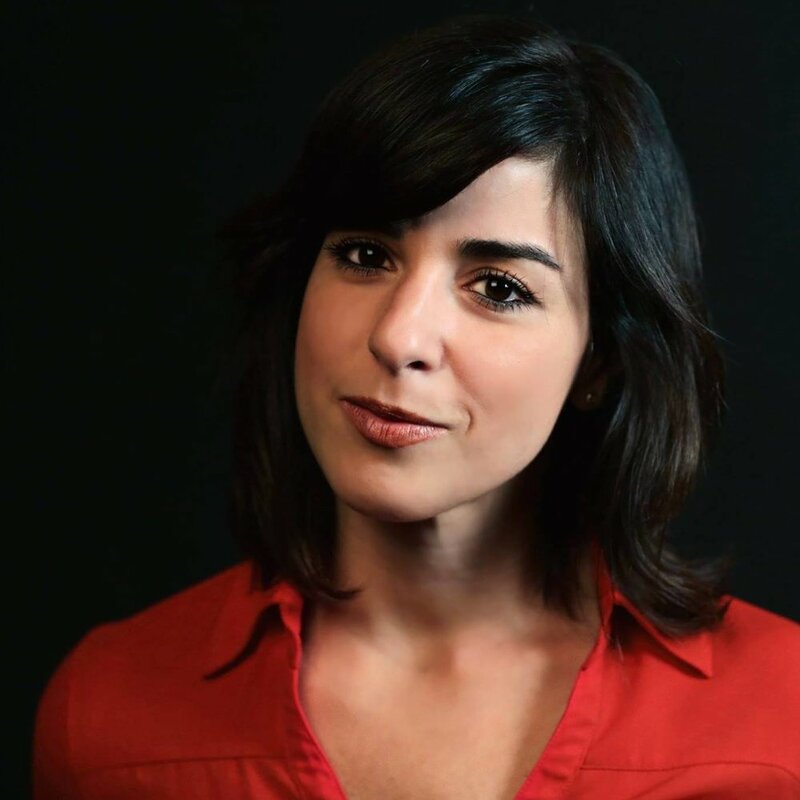 Paloma Valenzuela is the founder of La Gringa Loca Productions a Boston-based multi-media production operation. She is a Dominican-American writer, director and actress originally from the city of Boston. “The Pineapple Diaries” is a refreshing Boston-based Latina-centered comedic web series that was produced through La Gringa Loca Productions. In this informative workshop, you will learn how you can prepare yourself to kick off your investing journey and how to actually get started. Mabel A. Nunez, MBA is the founder and Chief Investment Officer of Girl$ on The Money - a Stock Market Investing Education company that focuses on individuals that are underrepresented in the world of investing. Mabel is also the best selling author of an Amazon best seller "Stock Market Investing Mini Lessons for Beginners" and teaches highly rated courses on investing and finance. You can follow Mabel on Instagram @Girlsonthemoney. In this workshop, you will hear from two first-generation Harvard alumni of color, Shirley Cardona AB’06, MBA’12 and Daniel Lobo AB’14 about how they’ve learned to leverage their networks. As two leaders of shared interest groups recognized by the Harvard Alumni Association, these alumni have developed deep expertise on how to leverage your college network to achieve various objectives. We will also discuss what making these connections looks and feels like as a Latina professional. Shirley Cardona is a Vice President at EF Education First, an international education company that specializes in language training, educational travel, academic degree programs, and cultural exchanges. Shirley serves as Co-President of the HBS Latino Alumni Association (HBSLAA), is a volunteer Harvard Interviewer, and serves on the board of the Harvard Latino Alumni Association, which represents the interests of Latino students and alumni across all of Harvard’s schools. Daniel Lobo is a strategy and operations professional with 5+ years of experience across the business and education sectors. As a student at Harvard, he founded the First-Generation Student Union (now known as Harvard Primus). Daniel is currently a Career Educator Fellow at Harvard’s Office of Career Services, where he advises students interested in consulting and entrepreneurship. He also serves as President of the First-Generation Harvard Alumni shared interest group. This workshop will help you uncover your Impostor experience, how to address it, and the importance of your work as part of the Hispanic Diaspora we are in today. Michelle Gomez, The Latina Career Coach, is an accomplished corporate executive with over two decades riding the waves of the corporate structure as a first-generation Latina-American. She is the author of the international best-selling book, Own Your Brilliance: Overcome Impostor Syndrome for Career Success, and has been a guest on multiple podcasts and online interviews. Michelle has also advocated for a healthy work/life balance through her blog posts at www.michellemgomez.com; providing insight on practical methods for creating balance and wellness in daily pursuits. Her goal is to coach, inspire, and empower all levels of Latina excellence. This workshop will go over how to identify your passion, utilize social media as a networking tool, fake it till you make it and secure the bag while doing what you love! Get your coins Mujeres! Julissa Prado is an entrepreneur and social media influencer that has garnered a following as an advocate of natural curls, promoting Latina beauty and sisterhood among women. She is the founder and CEO of Rizos Curls. Founded in October 2017, Rizos Curls creates products that embrace and celebrate the beauty of curls, kinks & waves everywhere. 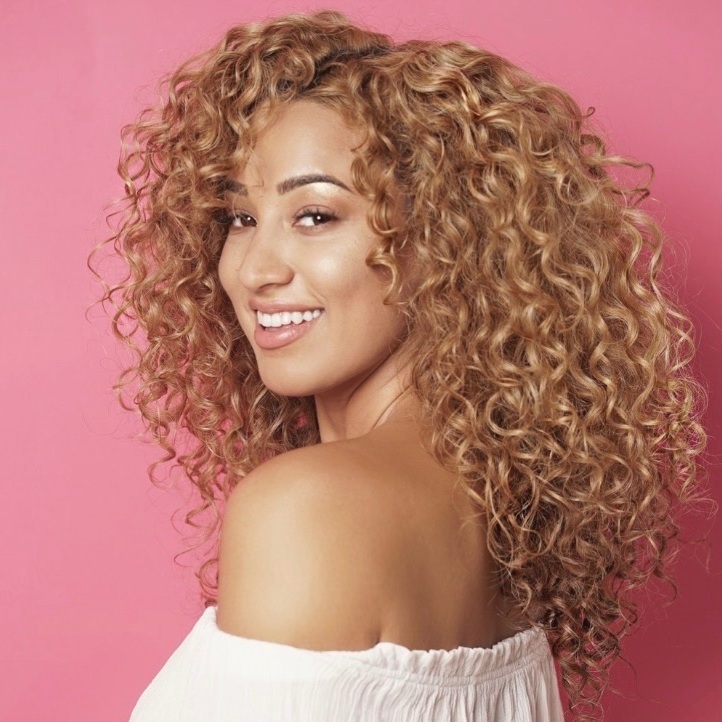 Rizos Curls is based in Los Angeles, CA and focused on providing quality curl care for healthy, luminous, natural curls. Made Con Amor…From One Curly Girl to Another! Leslie Valdivia is the co-founder of Vive Cosmetics, a beauty brand for Latinas and the Latinx community that celebrates all things beauty and culture. This company was created from a deep love for her Latinx community, women empowerment, and cultural and identity pride. Her company has been recognized by various national media outlets including Oprah Magazine, Buzzfeed and Latina Magazine, where the brand was award a 2017 Latina Beauty Award. Celebs like Cardi B have also sported their lippies. What Does it Mean to Be a Latina? In this workshop, we will examine a variety of ways to describe Latinidad and reflect on what it means for us to identify as Latinas. We will explore the diversity of experiences and expressions found within our community and discuss the importance of dismantling stereotypes and establishing a greater sense of Latina solidarity. Diana Ortiz Giron is the Assistant Director for the Office of Diversity Education and Support at Harvard College. She is a graduate of Pomona College '14 and Harvard Divinity School '17 and was recently elected to serve on the board of the Harvard Latino Alumni Association. She was born in Mexico and raised in Los Angeles and is passionate about mentoring Latinas, first-generation, low-income, and undocumented students while navigating higher education. Students will receive an overview of academics, social life, and admissions to Harvard. While this workshop will focus on student’s experiences at Harvard, the workshop will also cover tips for the college admissions process in general. In the workshop, students will be able to ask any additional questions that they have about Harvard or how to succeed in high school. Genesis De Los Santos is a senior at Harvard concentrating in History and Literature. She was born and raised in the Boston neighborhood of Dorchester and is the first member of her household to attend college. She comes from a proud Dominican household and as an Afro-Latina she is involved in both Latinx organizations and Black organizations on campus. She is most involved in Fuerza Latina, in BlackCAST (the Black theater group on campus), and in the Association of Black Harvard Women. One of the things that Genesis pours a lot of my time into on campus is the Undergraduate Minority Recruitment Program at the Admissions office. Accessibility for historically marginalized identities is something that Harvard and other prestigious institutions have had difficulty with in the past. Yet through such programs like the UMRP, Harvard is able to provide the extra support that these prospective students might need. As a student coordinator, specifically for the Latinx division her greatest pleasure is being a representative of the college with such a varied identity. In this workshop, learn the physical language of movement and its relationship with the 3 Cs: Confidence, Connection, Communication. Afro-Latin dancer Ana Masacote will lead you through a series of breath-work exercises, exploration techniques, and Afro-Cuban movement to help you tap into your inner Latina. Ana Masacote is an award-winning dancer, performer, and womanpreneur who passionately believes that through dance, we can facilitate social change within communities. She is a co-founder and partner of Masacote Entertainment and has spread the salsa bug to more than 30 countries across five continents. Ana is also the producer and executive director of Yo Soy LOLA, a movement to reclaim the Latina narrative through artistic platforms and a scholarship initiative for Latinx MA artists, and the founder of Dance to Power, an online Afro-Latin dance academy dedicated to educating and uplifting women and allies around the world through Afro-Latin dance. She began her formal dance training with folkloric dance at age 5 and Salsa at age 15, and she has been a judge and guest of honor at salsa competitions and festivals worldwide. This workshop will be an interactive space to learn how to be better latinx activists. Let's discover together, what tools we need to better strengthen our practice as Latina women in a society that remains patriarchal, misogynist and racist. How can we use our power and privilege to empower other women and fight for systemic changes. Patricia Montes is the executive director of Centro Presente, one of the longest standing immigrant-led, immigrant rights organizations in Massachusetts. Having earned her degree in journalism from the Universidad Nacional Autónoma de Honduras, she worked in public relations and communications in both government agencies and non-governmental organizations in Honduras, as well as in television production for over six years. She has served as the Board Chair of the Boston Women’s Fund and is currently on the Executive Board of Alianza Américas. She is also the producer of “The Invisible Crisis: the Female Face of Forced Migration” documentary. Leslie Valdivia is a communication professional by day and Latina entrepreneur by night. During the day, Leslie is a Senior Account Executive at Ogilvy, a worldwide public relations and advertising agency. Leslie is also the co-founder of Vive Cosmetics, a beauty brand for Latinas and the Latinx community that celebrates all things beauty and culture. Julissa Prado is an entrepreneur and social media influencer that has garnered a following as an advocate of natural curls, promoting Latina beauty and sisterhood among women. She is the founder and CEO of Rizos Curls. It has been Julissa’s dream to create a curl care line that celebrates the beauty of natural curls and is inclusive of different textures. Anna Dias is Vice President and Assistant Department Head within Brown Brother Harriman’s (BBH) Alternative Fund Services Business. In this role Ms. Dias is responsible for overseeing banking and administration services for real estate, private equity, alternative credit, and hedge fund clients.She serves as a board member for Sinha Capoeira Inc., whose mission is to promote capoeira, an Afro-Brazilian martial art, to youth-based organizations in Massachusetts. Ana Masacote is an award-winning dancer, performer, and womanpreneur who passionately believes that through dance, we can facilitate social change within communities. She is a co-founder and partner of Masacote Entertainment and has spread the salsa bug to more than 30 countries across five continents. Panelists will provide an introduction to the ever-growing fields of tech and STEM while offering guidance to those who wish to pursue a career in fields with extremely high underrepresentation. Catalina Laverde is a 26-year-old Senior Software Engineer at Spotify and the CMO/Co-Founder of Civic Action Network (“CAN”). Tanya Salcido is the co-founder of LatinaGeeks, a 501(c)(3). The organization’s mission is to empower and inspire Latinas by sharing technical knowledge, business skills, and entrepreneurship resources through hands-on workshops and community events. Brenda Salazar is a Software Engineer at Google who has worked with Google Hotels, Google Shopping Express and now Google Photos. Davina A. Ferreira was born in Miami, Florida but grew up in Medellin, Colombia. In 2005, Ferreira met Sir Ben Kingsley and worked with him in her own one-woman show Illyria. Soon after She worked for several Spanish media outlets in Los Angeles as an entertainment reporter before launching her luxury bilingual magazine ALEGRIA. Today, ALEGRIA has grown into a multi-faceted media brand. She is also an official advisor to The Chairman and CEO of Spiritú as well as their head of content & Latin American partnerships. Doris Muñoz is the founder and CEO of mija mgmt. She is a first generation Mexican-American music manager, entrepreneur, and activist. Doris founded mija mgmt in 2017, managing artists such as Cuco, Inner Wave, Hunnah, August Eve, and KWE$T. Since the inception of mija mgmt, Doris has spearheaded Solidarity for Sanctuary a series of various differently themed shows and events raising awareness and funds. Through this movement, mija mgmt has been supported by numerous social media and digital platforms like Remezcla, RedBull Music, Telemundo, Univision, VICE, The FADER, and more. Julie Romero was born and raised in Colombia and moved to the U.S to study Journalism; and quickly became obsessed with helping others tap into their superpowers. She has since joined the UR team at Twitter, where she not only recruits, but acts as a GPS for young professionals navigating recruitment roadblocks. She was a founding member and NY Lead of Oath’s Latino Employee Resource Group LIT (Latinos In Tech) and is now a member of Twitter’s ERG “ALAS” where she helps organize and execute some of most important flagship events, including recruiting events aimed for the Latino/ Hispanic community. Martha L. Velásquez is a Senior Contract Administrator in the Distribution Business & Legal Affairs team at HBO. She manages HBO’s 900+ independent affiliate accounts, primarily with drafting and negotiating distribution deals on the linear, on demand, broadband and over-the-top platforms for HBO and Cinemax programming. Martha is also co-chair of Alianza, HBO’s Latinx employee resource group. Alejandra Ceja runs corporate social responsibility for Panasonic North America and serves as executive director of the Panasonic Foundation. Ceja is the former executive director of the White House Initiative on Educational Excellence for Hispanics. She was appointed by the White House in 2013 to serve President Barack Obama and the U.S. Secretary of Education to increase the educational attainment and life outcomes of Hispanics across the nation. Mayra Rivera is Professor of Religion and Latinx Studies at Harvard University. She is also chair of the standing Committee on Ethnicity Migration Rights and a faculty member in Harvard’s doctoral program in American Studies. Rivera works at the intersections between continental philosophy of religion, literature, and theories of coloniality, race and gender—with particular attention to Caribbean postcolonial thought. Her research explores the relationship between discursive and material dimensions in shaping human embodiment. Kaysha Corinealdi is an Assistant Professor of History at Emerson College where she teaches courses on Latin American and Caribbean history, global feminist movements, African Diaspora studies, comparative imperial studies, and United States international relations. 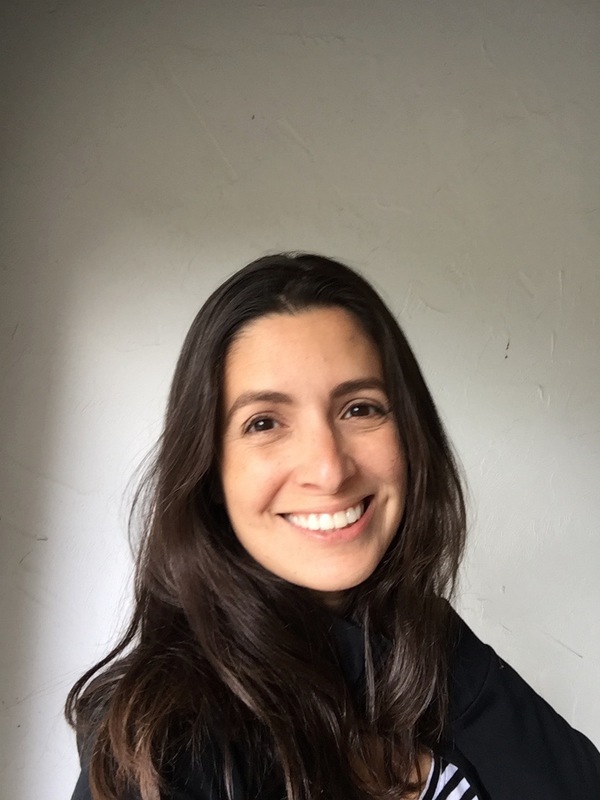 Her research interests include twentieth century histories of empire, migration, and activism in Latin America, the Caribbean, and the United States. Her current book project, Defining Panama, focuses on the activism of Afro-Caribbean Panamanian journalists, teachers, labor union organizers and civic association leaders as they navigated imperialist and hyper nationalist policies of racial exclusion, xenophobia and disenfranchisement in Panama and the United States. Dr. Lorna Rivera is Director of the Mauricio Gastón Institute for Latino Community Development & Public Policy, and Associate Professor of Women’s, Gender &amp; Sexuality Studies at the University of Massachusetts-Boston. Sindy Marisol Benavides is a Honduran-American immigrant who has experienced the American dream, and now devotes her career to public service, ensuring that countless young people, women, and immigrants have the same opportunity. She is currently Chief Executive Officer for the League of United Latin American Citizens (LULAC). Sindy is the founder, co-founder, or founding board member of LULAC Council 4611, VA Latino Higher Education Network (VALHEN), VA Coalition of Immigrant Rights (VACIR), and the Hispanic Organization for Leadership and Action (HOLA). Sindy also serves on numerous civic boards. Attorney Talia Barrales immigrated to the United States from Mexico at the age of 3 with her mother. Growing up undocumented, Talia saw firsthand the injustices faced by the immigrant community. As a Latina she saw the need of support for Latinas in Law. Those experiences fueled her passion for law and in 2013 she opened Barrales Law in Boston. Through Barrales Law, Talia aims to fight for, encourage and empower the Latinx community. She is a member and generous donor to Cosecha and The Chica Project, which advocate for immigrant rights and female empowerment for Latina girls in Massachusetts, respectively. 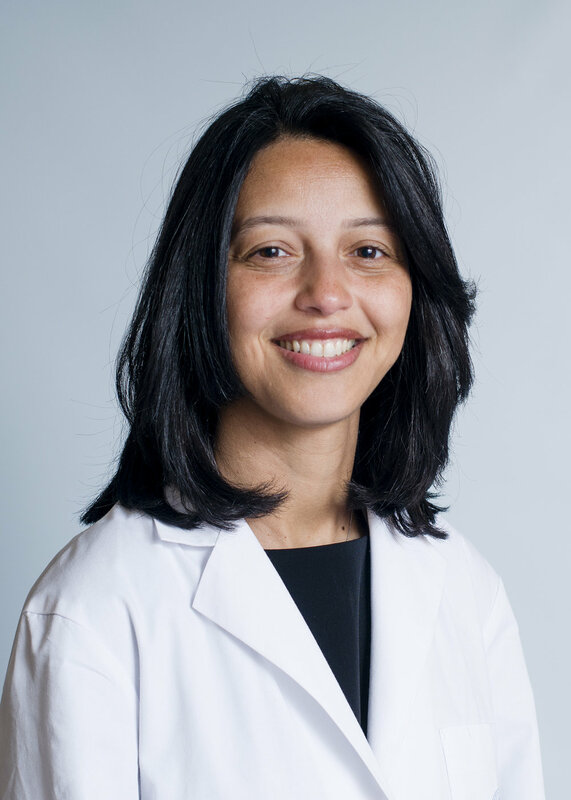 Elsie M. Taveras, M.D., M.P.H. is Chief of the Division of General Academic Pediatrics and Executive Director of the Kraft Center for Community Health at Massachusetts General Hospital. She is also Conrad Taff Professor of Pediatrics in the Field of Nutrition at Harvard Medical School and Professor in the Department of Nutrition at Harvard T.H. Chan School of Public Health. In 2017, she was promoted to Professor of Pediatrics becoming the first Latina at Harvard Medical School to reach that rank in Pediatrics. She was also named by the Harvard Club of Boston as one of Boston’s most influential women. .
Rita Nieves is currently the Deputy Director at the Boston Public Health Commission, having spent over 22 years at the Commission. Rita’s perspective draws on her experiences as a nurse and a social worker focused on improving the lives of women of color and women with limited income. She is a leader in our community on fighting substance use and has worked extensively with women who have experienced trauma, mental health and incarceration. Judi Cullinane is the Executive Director, Center of Excellence, Nursing Research, Innovation, Professional Development and Quality at Tufts Medical Center and the Floating Hospital for Children. She is an Associate Professor of Nursing Practice at Simmons University within the Dotson Bridge and Mentoring Program; a program devoted to the enhancement and educational experience of minority students enrolled in nursing. She is also an adjunct Associate Professor at Tufts University, School of Medicine and School of Public Health. Dr. Rios serves as President & CEO of the National Hispanic Medical Association, (NHMA), representing 50,000 Hispanic physicians in the United States. Dr. Rios also serves as President of NHMA’s National Hispanic Health Foundation. Dr. Rios has received several leadership awards from the U.S. Department of Health and Human Services, the Congressional Black, Hispanic, Asian and Native American Caucuses, and more. 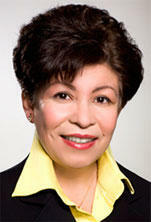 Dr. Rios was appointed to the Minority Alumni Hall of Fame of Stanford University in 2006. Meet a panel of women who have succeeded in the fields of media and communications. Attendees will learn about the underrepresentation and misrepresentation of Latina women in the media industry. Paola Ramos, Political Strategist and Former Deputy Director of Hispanic Media for Hillary for America, Cynthia Lopez, Former Commissioner of the New York City Mayor’s Office of Media and Entertainment , Natasha del Toro, Correspondent for Fusion's The Naked Truth and Host of PBS's America Reframed. CEO and Founder, FitNation Ventures, Inc.
Meet a panel of successful Latina women who have succeeded in the world of business and entrepreneurship. Whether you are looking to pursue a career in business or are simply exploring your options, attendees will gain invaluable skills applicable to a career in any field. Eliana Murillo, Head of Multicultural Marketing, Google, Betty Francisco, General Counsel, Compass Working Capital, CEO and Founder, FitNation Ventures, Inc., Co-Founder, Latina Circle, Susana G. Baumann, Editor-in-Chief, LatinasinBusiness.us, Roxanna Sarmiento, COO of #WeAllGrow Latina. Cristina Gonzalez, Senior Vice President, Chief Legal Officer at Staples, Inc. Learn from a panel of distinguished women about careers in law, public service and nonprofit work. Attendees will be motivated to pursue careers that generate a lasting impact on the people around them. Judith García, City Councillor for District 5 Chelsea, MA, Cristina Gonzalez, Senior Vice President, Chief Legal Officer at Staples, Inc., Sonia Chang-Diaz, Massachusetts State Senator. Malena Gonzalez, Founder of NutriCount Inc.
Lillian “Lee” Llambelis, Deputy Commissioner for Community Partnerships and STEAM Initiatives at NYC Department of Design and Construction, Malena Gonzalez, Founder of NutriCount Inc.
Dr. Adriana Zavala, Associate Professor in Art and Art History at Tufts University. Hear and learn from a panel of accomplished women who work in academia. Learn about graduate school, research, and the path to becoming a professor. Dr. María Luisa Parra, Senior Preceptor in Romance Languages and Literatures at Harvard University, Dr. Ana Villareal, Assistant Professor in Sociology at Boston University, Dr. Adriana Zavala, Associate Professor in Art and Art History at Tufts University.